Thank you for visiting the home of Totara Wines. The Totara tree is native to New Zealand, and has long been revered by Maori, as well as early European settlers for its diverse qualities and uses. The Totara possesses strength and durability, properties we strive to emulate with the Totara wines brand. The Totara Wines family are true to their region, they express typical varietal characters, complexity and like the Totara tree, are made for longevity. The fruit and winemaking techniques used in the production of these wines are focused towards producing wines with a point of difference, and to be food-friendly in style. Alan Peters-Oswald joined the Totara Wines team as winemaker in October 2010, bringing with him a desire to promote the regional and varietal identity of each of the Totara wines. Based in Marlborough, Alan spent his early years in Central Otago and is excited to produce and promote wines from two regions that have had a huge influence on his winemaking career. 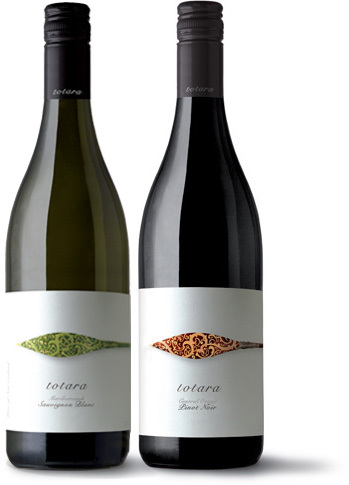 Please visit our distributors in Australia for stockists and for more information on the range of Totara Wines.